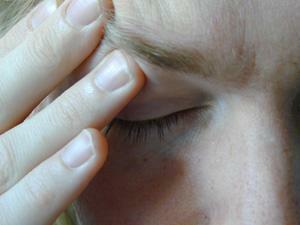 Drastic diet changes can cause headaches. "Why should we introduce a new diet gradually?" is a question many new dieters ask. Figuring out why and how to incorporate healthy habits into your life can go a long way to helping you attain better health and maybe even a happier disposition. Anytime you've decided to make changes in your diet, it's a good idea to incorporate them gradually. This is true even if you haven't chosen to make any drastic changes or aren't committing to an established dieting program. Consider the following reasons why. Drastic changes in diet can sometimes cause feelings of fatigue or lethargy as the body attempts to adjust to differing levels in vitamin and mineral intake. If a new diet plan requires eliminating certain food groups, this can cause a harmful vitamin or mineral imbalance. In some cases, this can result in debilitating illness or even death. When trying to reduce your intake of certain food groups, it's best to do this gradually and under the care of a physician or nutrition expert. Studies show diet-related changes work best when introduced slowly. This is because many aspects of weight gain and obesity are psychological. By making drastic changes to the diet, some people feel deprived and will then react by consuming more of the "forbidden foods." By gradually removing foods and incorporating better, healthier choices, it is possible to create new habits that can last for a lifetime. If you make changes to your eating too quickly or limit certain types of foods, like carbohydrates, you may find you experience headaches, among other negative side effects. Certain types of fad diets or so-called miracle diets may emphasize the consumption of one or more foods. By eating large quantities of certain foods, such as peppers, lemons, berries, tomatoes, or others, it is possible to irritate the lining of the stomach, develop ulcers, or to experience nausea. There are many reasons to begin a journey of healthy living and to do it in a slow, effective way that will help you stay on that path for the rest of your life. The following tips can help you get started. Switch from canned to fresh fruits and vegetables. By eating fresh produce, you will be able to enjoy all of the vitamins and minerals that these foods have to offer. Some of these nutrients are lost in the canning process. If fresh vegetables are not available, frozen produce is generally preferred to canned. Try adding one new healthy food to your diet each week. If you have picky eaters in the home, this is a great way to gradually introduce foods without overwhelming them with so many new items. Choose healthier cuts of meat. Red meats, in particular, often contain a high fat content. Choose those lower in fat or lean meat options for most meals. Consider substituting beans, lentils, soy products, or high protein grains in place of meats one meal per week. This will reduce the number of calories you consume and is a gradual enough change you can stick to it. Instead of sweet or salty snacks, consume fresh produce to cut calories and increase your nutrient intake. If you are still wondering why should we introduce a new diet gradually, you may want to discuss your diet changes with a professional. Nutritionists are great resources for weight loss advice and other information about how to gradually change your diet and lifestyle. By including a regular exercise routine in your life, you can also greatly improve your health and increase the likelihood of reaching and maintaining an appropriate weight.